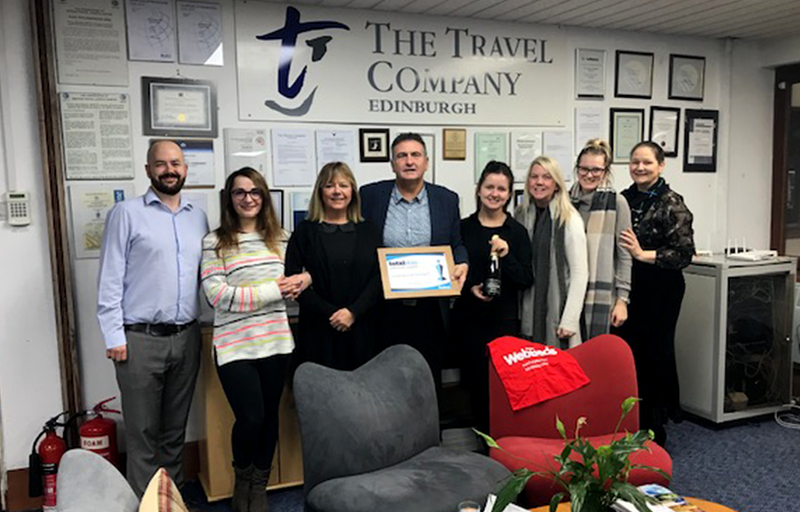 Here’s Tom Young from our UK Sales team presenting the Travel Company in Edinburgh with the “Totalstay – Agent of the Year award” for 2018. During December our Sales Managers were out on the road, travelling around the country presenting some of our amazing travel agents with a number of awards to recognise their great support and efforts during the year. To find out more about our totalstay.com and sunhotels.com brands, please don’t hesitate to contact news@webbeds.com and one of the team will get in touch.